Property Cleanout Michigan LLC serves the entire state of Michigan with property cleanouts of all kinds. We provide free on-site estimates and no-surprises pricing, and we don’t collect until the job is done. CALL (231) 299-0500 FOR A FREE ON-SITE ESTIMATE, OR CONTACT US BY EMAIL! For standard cleanouts, we remove all debris, trash, furniture, electronics, etc. For larger jobs, you will need to provide the recommended number of dumpsters. For smaller jobs, we utilize our own equipment to haul waste and debris to the landfill and recyclable or salable items to their appropriate destinations. We leave the entire area broom-swept. Ask us about our popular turnkey services. We will take care of everything - from the initial cleanout to interior demo, property refurbishing, minor repairs, yard work – we can even help you sell your property! Here are some of the areas we serve. If you don’t see your city or metro area listed, don’t worry. 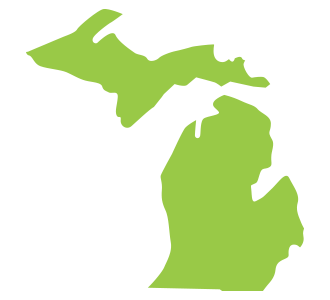 If you are in Michigan or one of our surrounding areas, we can work with you!